Distinguished author and historian, Rev. Clyde Crews, Bellarmine University, reviewed the most recent release in the Impelled by the Love of Christ book series. The series is available at bookstores in Louisville and Bardstown, Ky. The saga moves forward. 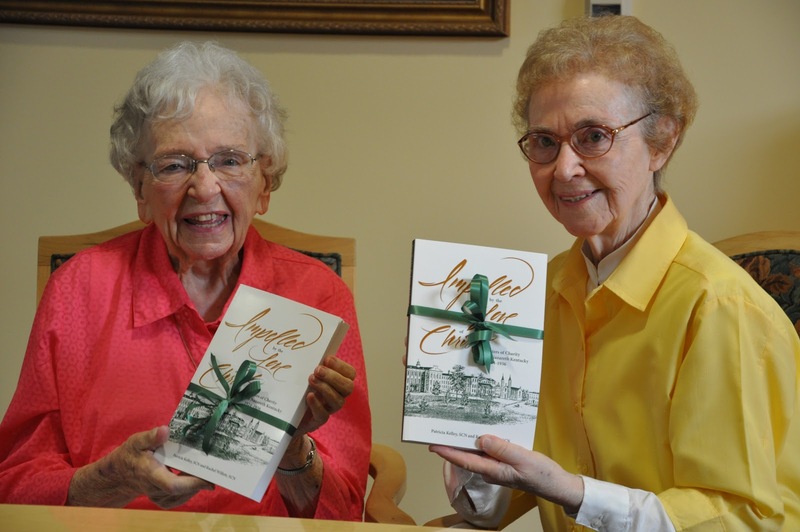 A scholarly group of Sisters of Charity of Nazareth continue their research and writing as they narrate their community’s history over its last highly eventful century. All told, six volumes are projected as part of the celebration of the bicentennial of the Sisters. The second in the series has now come from the press under the keen authorship of Sisters Patricia Kelley and Rachel Willett. In the first volume of the series , the central figure was Mother Rose Meagher. This time the focus moves to her successor, Mother Mary Catherine Malone. Whereas the first volume had as its contextual and dramatic backdrop the First World War, this one has the Jazz Age and the Depression. 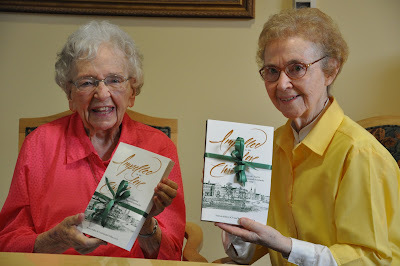 Some of the more moving moments of this present account are those that evoke the Sisters who dealt with lean times and the way they sought to help those around them. Mother Mary Catherine emerges from these pages as a great-hearted soul with a special dedication to the education of the rural poor. When in 1924 anti-Catholicism flares in Shawnee, Ohio, several Catholic men for a time sit guard at the convent. Sisters heading to teach at a summer school in the Kentucky mountains in 1925 walk two-and-a-half hours over rough terrain to reach their mission, crossing the wonderfully named Contrary Creek several times on the journey. In 1931, in the depth of the Depression, a pastor in Dennison, Ohio tells his parishioners that there is no money to pay his salary, nor that of the Sisters. 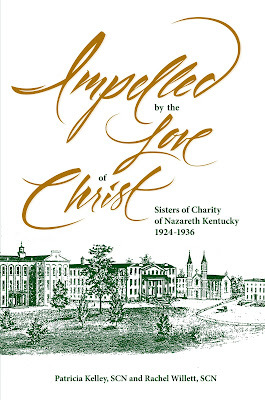 Each Sister at the time had been receiving 82 cents per day as salary. Dinner is delayed at St. Thomas Orphanage in Louisville on March 4, 1933, so that the Sisters may listen to President Franklin D. Roosevelt’s inaugural address over the radio. Throughout the volume we meet largely unsung community members who were stalwart, each in her own way. Austina Romanowski, SCN, taught Polish/English classes to children who idolized her as the Sister who jumped rope with the girls and played ball with the boys. Evangelista Malone, SCN, community treasurer during the era of this volume, was quite a taskmaster as new windows were being added to the Motherhouse church. She returned one window, for example, because the saint’s face was too severe. 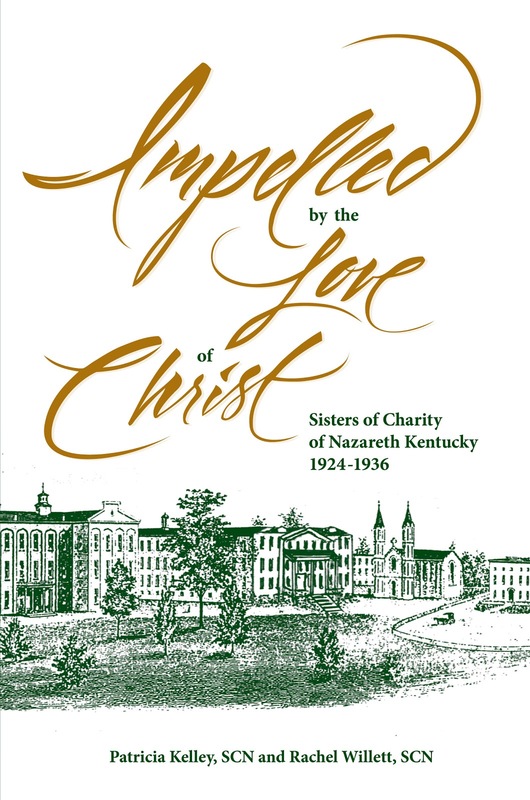 There are many other glimpses into the community’s life, including the spiritual exercises of a typical day, and the account of the few Sisters who taught in public rural schools. Even the benefactor Countess Spottiswood-Mackin, a Nazareth alumna, makes an appearance. The very readable text is rounded off by a serviceable index. Twenty-four pages of photographs reproduced with unusually high quality provide an additional immersion in the historical sensibility of the era. Special credit goes to designers Katy Keeslar and Brad Craig for their highly professional work.